Teajay's review post ease my worries and I'm inclined to agree with everything he said having done 350 miles. Give it a read and hopefully your mind will be eased. The only sticking point for some is giving up the manual if you chose DSG although I have no complaints whatsoever and driving a DSG can be as involved as you want.The car is much more capable across a broader range than the Megane ever could have been. I went with full GTechniq coverage, no PPF. Nothing, no refund necessary as it was my mistake and they were never included on any order form or quote. I must have forgotten to even add them to my final Carwow build. All on me unfortunately. All they could do was offer me the parts desk price which is rather galling. Haha, no insult! Zag as in I like to Zag when others zig. Be a bit different. 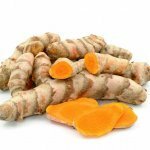 Tumeric is very different! And thanks, very pleased. So, after a little disappointment about having missed the Pretorias from my order form, (gutted bearing in mind how many times I checked it) the car was collected the Saturday before last and spent most of last week at the detailer. My dealer did adhere to the don't wash request and it was absolutely covered in 'awful'. Spent forty-five minutes trying to work out if everything was straight through the grime. Results are great. Couple of paint defects on the wing mirrors that I need to query but the rest of the car is perfect. Need to query the lack of Dynamic Light Assist from the menu as the dealer has confirmed it was built with it. I know it can be turned on with VCDS as I have the hardware but not the point. So pleased with the decision to go with Lapiz. I know it's the most popular and I've always liked to zag (not quite as much as MK_Tumeric) but it looks fantastic. Even the Cadiz have grown on me over the last few days. Gave it its first decent run down the The Stoop to watch the rugby yesterday. A win against the European champions and an effortless drive made my day. Few hundred more miles before I'll allow myself to open it up properly though. Night and day compared with the 275 I had before it. I picked my spec, ordered as normal, estimate was late December at best... now this has happened. Absolutely no information as to why it has been so quick. Lets hope there aren't any options missing! 7) Nearly there: 16/11 Just tying up a few things timing wise on collection that has slowed things down since it got to the dealer but 50-odd days from order to arrival is pretty impressive. Can't wait to collect it now. Looking at booking it straight in at the detailers for a new car prep and ceramic protection. Might yet have it on the road and run in by my birthday at the start of next month! Okay, totally surprised to find that my car is in the UK already this morning. I don't wish to make anybody that has waited a long time feel bad or come off braggy. I just wondered if anybody else had the planets seemingly align for them as well? Signed order: 25/9 Dealer submitted: 26/9 1) Processing your order: skipped 2) With the factory: 2/10 3) Build week confirmed: 7/10 4) Build in progress: skipped 5) In transit: 4/11 6) Arrived in UK: 9/11 7) Nearly there: ?? ?